Alaskans dedicate much of their personal time and resources to harvest fish and wildlife, gather plants, or venture out to get a glimpse of Alaska’s wildlife. Anglers and hunters may travel on roads and trails, streams and rivers, or take to the air to access their favorite fish and wildlife areas. Approximately 88% of the state is in public ownership (federal, state, or municipal) and is available for access and use. The remaining 12% of the land is in private ownership with nearly 46 million acres owned by Native villages and corporations. Each land ownership type has different provisions to provide access to public lands and waters. Before taking a trip, learn who owns the land and how you can legally use or cross it. The Alaska Department of Fish and Game not only develops many sites to enable the public to access fish and wildlife, including boat ramps, angler access sites and lake stocking projects, but we also work to ensure that the public’s right to access publicly owned resources is protected. 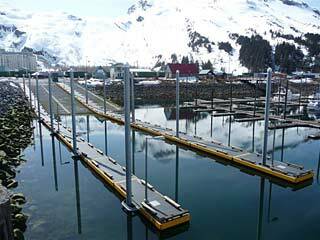 View this ADA Accessible Fishing guide for information about ADA accessible places to sport fish in Southcentral Alaska. See the State ADA Coordinator's Accessible Recreation Links website for additional ADA information.